Leeann Rich Munson, 43, passed away on Friday, June 21, 2002 as a result of an automobile accident near Lake Powell. Leeann was born July 1, 1958 in Las Vegas, Nevada. She is the daughter of Gene Munns and Wayne R. Rich. 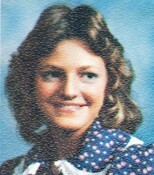 She was educated in Logan City Schools and graduated from Logan High School in 1976. She participated in the Logan High "Hi-Lo's" and was proud to see her daughter follow in her footsteps. She was also awarded the "Outstanding Business Award" her junior year. She graduated from Utah State University with a degree in Home Economics. On June 14, 1979 she married Michael L. Munson in the Logan LDS Temple. They were blessed with four beautiful children. She has been an active member of The Church of Jesus Christ of Latter-day Saints and served faithfully in many callings. Leeann was a very devoted mother that loved every minute of being a mom. She was a wonderful wife, mother and homemaker. Recently she has enjoyed being a grandmother to her beautiful granddaughter, Taiya. Leeann was a devoted daughter, sister and friend. Even though her greatest joy in life was being a mother, she enjoyed many friends and co-workers at the Logan Regional Hospital. During the past 17 years she held various positions and was known for her sense of humor and quick wit. She brought a spirit of happiness to those she cared about and will always be remembered by those who loved her. Leeann is survived by her husband Mike, her daughters, Brooke, Kristi Lee, Natalie Ann and her son, Nicholas Rich Munson, a granddaughter Taiya Paige Barker, her parents, Wayne and Gene Rich, Logan, a sister, Julie (Timothy) Hagan, Salt Lake City, two brothers, Jeff (Miriam) Rich, Smithfield, Robert (Michelle) Rich, Pleasanton, CA, brother-in-laws, Steve (Vickie) Munson, Logan, Brian (Beth) Munson, Millville, Doug (Julie) Munson, Pennsylvania, sister-in-law, Sharon (Barry) Reeder, Perry, Utah. Leeann is also survived by many aunts, uncles, cousins, nieces and nephews, many close friends and neighbors that love her dearly. Click here to see LeeAnn's last Profile entry.